(EDITOR NOTE: This feature was written in full by the owners of the screen-used mask to better give you the full story & details on what you’re buying!) If you’re here, chances are you’re familiar with Buffy the Vampire Slayer. You’ve at minimum seen one episode (with a 99% chance of it being the musical episode); most likely, though: you eat, sleep, and breathe BtVS and are proud to call yourself a Scooby. So, what’s the next step for a die-hard Buffy fan? There’s a question that not many people think to ask: what happens to all of the items used in our favorite TV shows after filming? Some items are thrown away: Sid the Dummy is, unfortunately, in a landfill in California (our hearts, too, are broken by this news). A lot of items, though, are sold to collectors and, through the years, re-sold to other collectors. That brings us to the reason for this feature: we are prop collectors. We have props, wardrobe items, and set pieces from tons of shows, but the majority of our collection comes from the Whedonverse. We’ve acquired some pretty iconic props from Dollhouse, from Firefly and Serenity, and from, you guessed it, Buffy the Vampire Slayer. There comes a time, however, that prop collectors may decide to part with items in their collection to a) downsize, b) make room for something new, or c) pay their bills…and we have come to such a time (see option c) with our own collection: bills before thrills, I guess. No, we’re not selling the magical, musical, singing, dancing demon, Sweet… Well, not all of him anyway; just the most iconic part! That’s right, HIS FACE! Created by FX artist Robert Hall and worn by Broadway star Hinton Battle in “Once More With Feeling”. 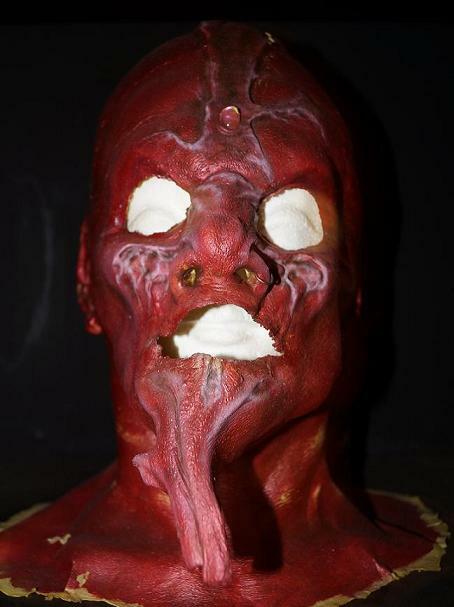 This is the only known mask that was created for and used by Hinton Battle in his iconic role as Sweet, the musical demon who wreaks havoc in the fan-favorite episode, “Once More, With Feeling.” Now, Sweet’s mask was not originally sold after the show was over, as Mr. Hinton Battle himself took it home with him after he finished filming his iconic song and dance numbers in “OMWF.” Eventually, however, lucky for us (and for you), the screen worn Sweet mask was sold along with a headshot of Hinton Battle! Sweet’s mask now rests in a display case on a Styrofoam head (to help keep its shape) in our mini-museum and is in excellent condition, considering this episode was filmed over ten years ago (feeling old yet?)! The front of the mask is especially impressive – not to mention realistic (and creepy)! After the mask was used, since it was never intended to be used again, it was cut and/or torn up the back for removal, marking the only noticeable damage. While we would have loved for this tear not to be there, it makes it that much more authentic and unlike anything you could buy in a store, and we have done our best to make sure that the mask is in the same condition it was in when we received it. It even still has the earring and nose ring in place! It is truly one of a kind! How can you own this iconic piece from one of the most legendary episodes of a television show with a huge cult following? From Hinton Battle’s collection to yours, we’re giving you first dibs! 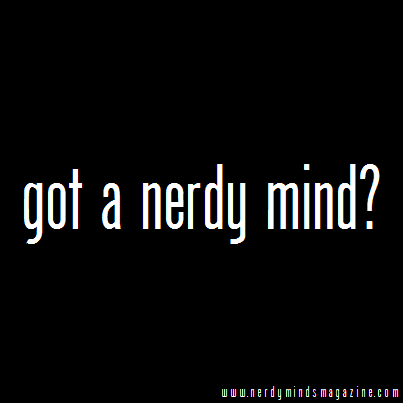 Right now, it is a Nerdy Minds Magazine exclusive sale! What that means is that only the people who have read this article have the opportunity to buy it! When we purchased Sweet’s mask for our mini-museum, the asking price was a lot… and we couldn’t afford it, but we thought, what the heck…let’s make an offer; the worst that can happen is that they say “no.” And we might not either! “It doesn’t hurt to ask!” We want this piece of Whedonverse history to go to a true fan who will give it a good home instead of to someone who’s only buying it to re-sell it for profit. Are you that true fan? Shoot us a message by clicking here, and we’ll get back in touch with you as soon as we can! It’s one of a kind…so once it’s gone, it’s gone! If Sweet’s mask isn’t the iconic Buffy prop you’ve been looking for, though, we have two more options for you coming soon… One is a way-less-expensive-but-still-totally-cool Buffy the Vampire Slayer prop for fans of the Trio! 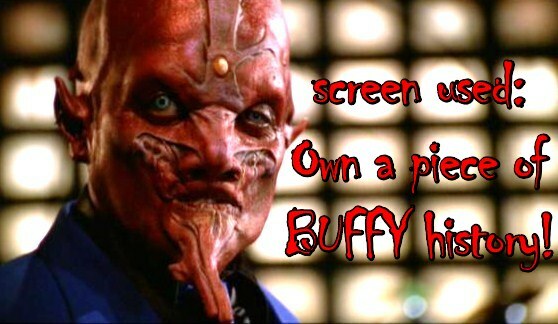 Don’t forget to share this post so your friends, fans, and fam have a chance at getting a super iconic screen used Buffy piece. If you can’t afford it but they can, you can always go visit it at their place… It’ll be like your own private Buffy museum! Yet another screen used Buffy prop we’ll have up for sale soon is a major game-changer… Without it, Buffy the Vampire Slayer wouldn’t have lasted all 7 season! Take a stab (stake?) at what it is in the comments…and stay tuned! Thank you in advance for helping these fellow Scoobies pay their bills! Also… I can’t confirm or deny, but please feel free to lay down your guess for what’s to come! It’ll earn you some mad bragging rights if/when you’re right! Hi. I’m a huge BTVS and Angel fan. However, I’m actually looking for some of the paper props that were used. For example, the production photos that were used in the background of like Buffy, Xander, WIllow, Oz, etc… As well as the posters and flyers from the college years. Any suggestions of where I may find them?